CNET’s test car came with the Sport Chrono Pack, which drops 0-60 down to 3.6 seconds in conjunction with the rapid-fire Porsche Doppelkupplung dual-clutch transmission, but feels quicker than that. Response from the 420-horsepower, 368-pound-foot, 3.0-liter engine is practically immediate at all speeds above 2,500 rpm. As for infotainment, CNET’s Krok was blown away by the latest iteration of Porsche’s infotainment system, which is new for this year. It now supports Apple CarPlay, but not Android Auto. The screen features a proximity sensor, hiding extraneous bits until a hand draws near. If you need to remain connected on the road, the 911 car can be equipped with a 4G LTE antenna supporting a Wi-Fi hotspot. 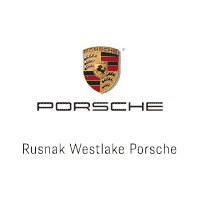 We have a full inventory of Porsche 911 models available to drive here at Rusnak/Westlake Porsche, and our experienced sales professionals are ready to take you through all of this sports car’s many fine attributes. Drop by our Thousand Oaks, CA showroom today or call (844) 245-3668 to schedule an appointment and a test drive.